I have a very weird sensitive combination skin type where my oily part is not only on my T-zone, but also on my cheeks and yet having super dry skin on both at my higher cheekbone area. And... I only aware of my accurate skin type after consult with Dr. Christina from Klinik Christina Chea. Let's rewind back to last October 2014 when I had the worst breakouts in my entire 25 years life. I would say it's mostly due to my own fault for not taking care of my food and drink intake when I was in Sydney. It's important to be strict on yourself especially when you already know that ALL type of nuts, chocolate and dairy products going to cause major breakouts on your skin. Of course, it's always important to know that there are FOUR main factors of Acne - the skin oiliness, clogged pores, bacteria and inflammation. I was given the right products and antibiotic in order to combat with the four factors that cause acne. I was then introduced to this treatment - Advanced Medical Microdermabrasion Treatment - by Dr. Christina. It is a unique, non-surgical cosmetic procedure used for skin resurfacing and treating a wide rand of abnormalities and inconsistencies. Apart of started using the products given and taking the antibiotic in my daily life, I've also started this treatment few months ago and begin with one treatment every two weeks and now that I got better clear skin with only scars/marks, I only do it once every month. Microdermabrasion is derived from an age-old treatment called dermabrasion. The new Advanced Medical Microdermabrasion system has a more modernised and gentler approach. Its patented dual control system and adjustable applicator head that simultaneously suctions and distributes a jet of fine crystals across the skin to remove dead and damaged skin cells, leaving skin renewed and smooth. At the same time, the production of collagen and new skin cells is stimulated beneath the surface of the skin, improving skin tone. Mild extractions will help decongest and remove built-up oil and excessive skin. The Advanced Medical Microdermabrasion Treatment erases epidermal layers at varying depths in a controlled manner, minimising skin trauma. It mechanically alters the epidermis and invigorates cell renewal to create a healthy, balanced skin surface. It is then possible to improve or eliminate mnay skin conditions and skin imperfections. Helps to reduce skin oiliness. Helps to reduce acne marks and lighten the appearance of scars. Helps to improve absorption of skin care products. Does not thin out the skin because new skin will grow back to replace the unhealthy unwanted skin. Helps to achieve better skin complexion - brighter, smoother, more even skin tone, less blackheads and pore sizes reduced. Excessive and harsh extraction that cause marks and scarring is not needed. Picture above was taken by the staff back in October 2014 (Before) and January 2015 (After). 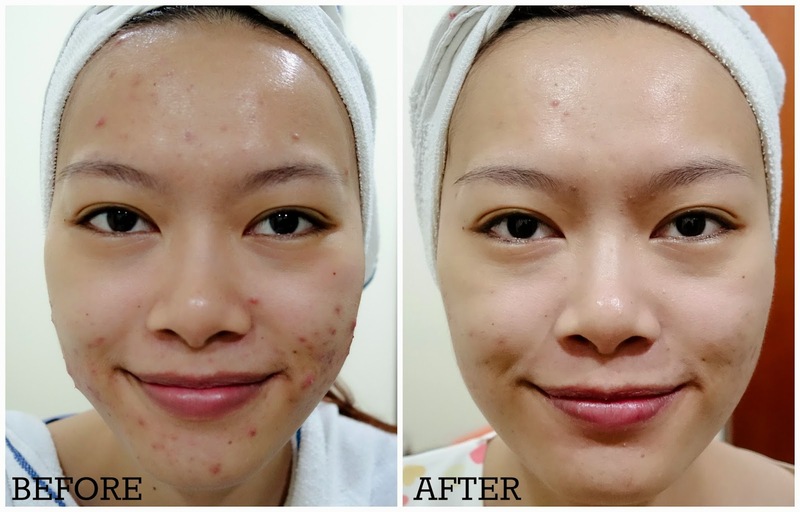 I am totally satisfied with the result of the treatment on my troubled skin. This treatment is a non-invasive and safe for even sensitive skin like mine! I'm glad to take this treatment instead of laser treatment to cure my acne problem. The Advanced Medical Microdermabrasion Treatment also can help to reduce the appearance of fine lines, age spots, superficial scars, enlarged pores and sun damage. There's no downtime for this treatment too, which also means it won't affect your daily routine. The only post treatment care that I need to do is using gentler cleanser for the first 3 days after the treatment and also, to apply sunscreen before going out under the sun. 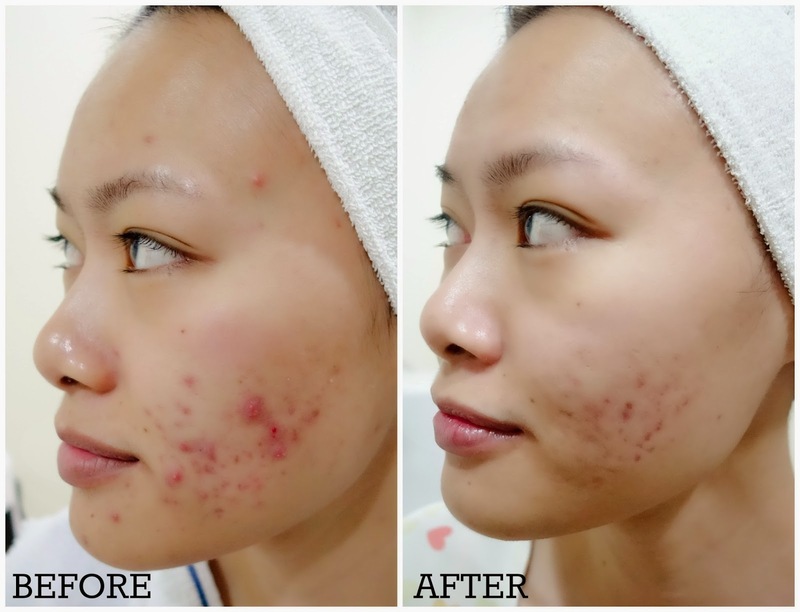 For those who would like to consult before trying out this treatment, you may contact Dr Christina at 03 - 5631 3909.